Ready to "Rise Up" With Your Money? My name is Tara. I'm the Founder of ReisUP, and I'm on a mission to help you understand the seemingly complex world of money. My goal is to empower you to take control of your financial future. Like it or not, the wealth gap is widening. But if we level the financial playing field, we can all benefit from that abundance. I believe that can be done through high quality, actionable, and - most important - relatable educational resources. That's why I've combined my blue collar background and Wall Street know-how to create ReisUP and the content you'll find here. It's time to "rise up" with ReisUP. Bespoke financial wellness programs for colleges and companies. Help your community stress less and save more. Online, video-based training for individuals who are ready to get clear on their financial goals and create a plan to achieve them. A candid, no-BS view on personal finance and investing sprinkled with a healthy dose of reality. It's time to take money off the taboo list. 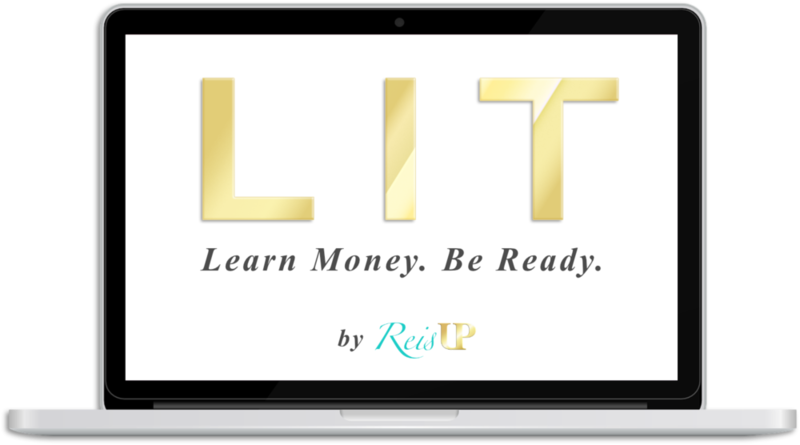 Learn more about how LIT™ could benefit your students here. We are thrilled that you've found us, and excited to empower you (and your community!) to ReisUP with your money. If you have any questions about our offerings, please don't hesitate to contact us.